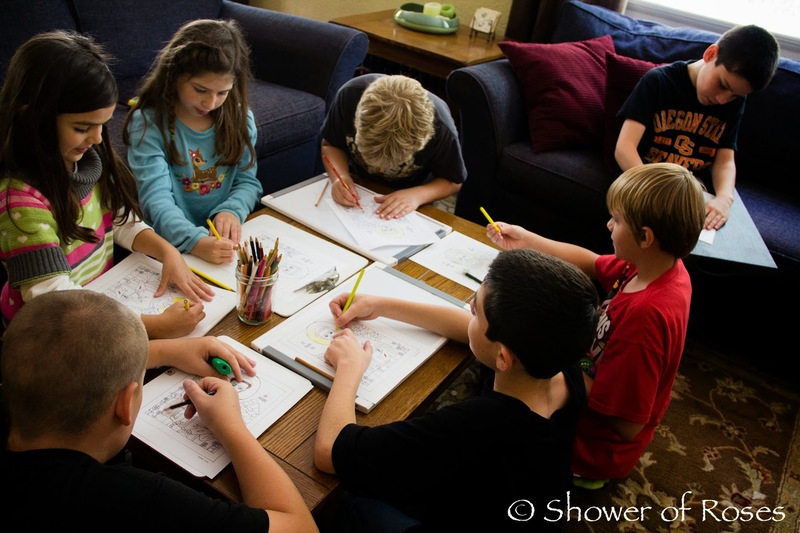 We are so blessed to have two of my friends, who are Catholic mothers and home educators, tutoring our children through the home-based charter school we use. Our "allotment" goes quickly with the extra tutoring, so over the summer my friend Trina and I discussed options for this school year. She suggested "trading" some time to stretch my allotment further - she would tutor my children in Math (and help with PAL) and I could do something for her... My question? What could I possibly do for her? (She is a brilliant teacher after all and was one of my siblings favorites at their high-school co-op.) She laughed and said she could think of plenty, starting with CELEBRATING THE FEAST DAYS with her children! She said all I would have to do is just include her children in some of the celebrations we have already throughout the year. Ooh!! Yes, that I could do! Her boys are also great friends with my boys, so everyone was excited about this arrangement and we have six fun feast days planned for this school year. Today we had our first afternoon of "Celebrating the Saints" and it was so much fun! 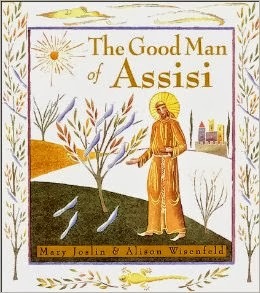 "Here, simply and charmingly retold, is the classic story of the man who became a channel of God's peace to the world--its people and its creatures." 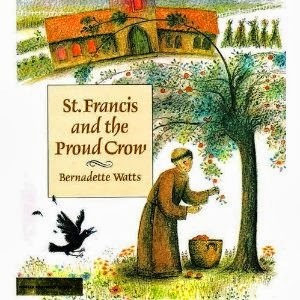 "After Saint Francis grants his wish for a golden cage, Crow realizes the folly of envy and the value of freedom and love." "While other children’s religious titles focus on Saint Francis of Assisi as an adult, few, if any, have concentrated on the early life of the patron saint of animals and the environment. 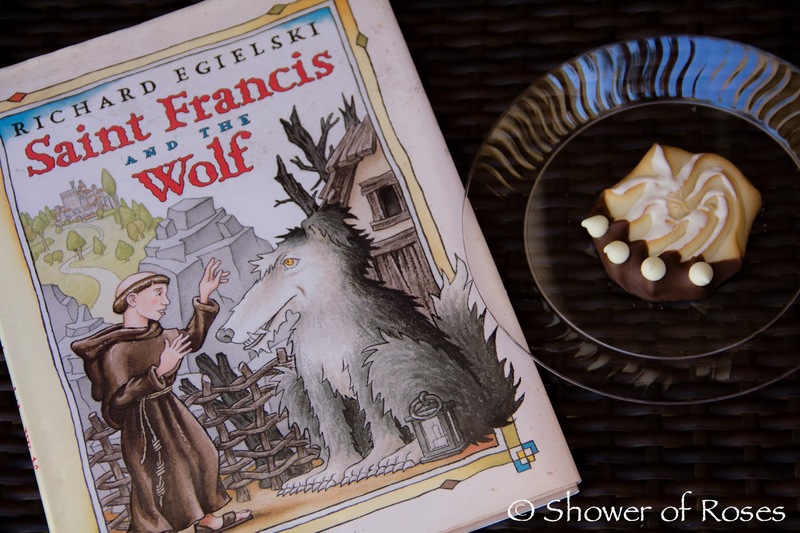 Stunning illustrations punctuate this beautifully told story of Saint Francis as a boy as he communes with nature and treats even the fiercest of animals—a hungry wolf—with the same compassion he would show his grandmother. 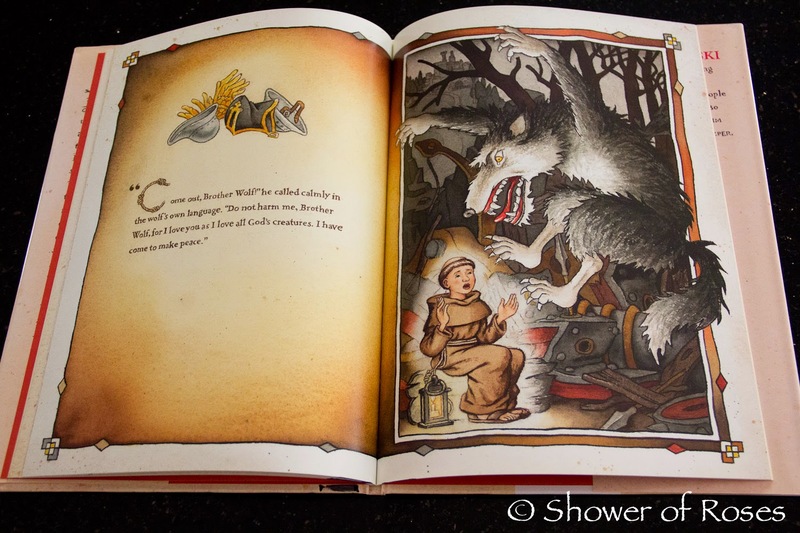 In a fearless display of courage, tolerance, and understanding, the young Francis makes peace with the wolf, foreshadowing his teachings of harmony with the world around us and man’s duty to protect nature." 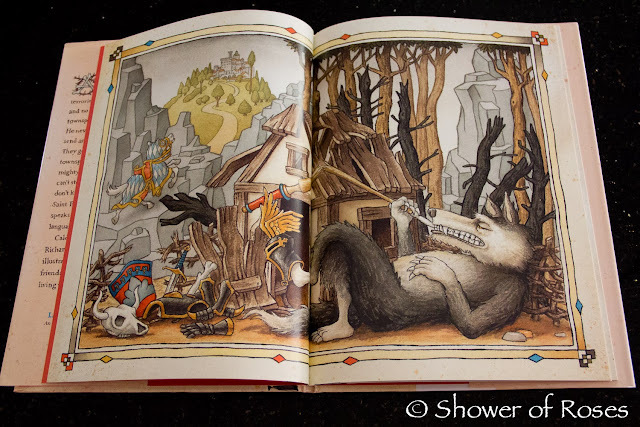 "Terrible wolf is terrorizing the town of Gubbia, and no one can stop him! First the townspeople send a brave knight. He never returns. Then they send an army of trained warriors. They get destroyed. Finally the townspeople send a great and mighty war machine, but even that can't stop the wolf. 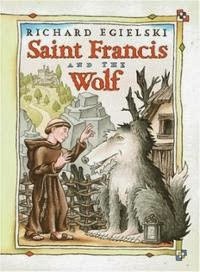 The villagers don't know what to do -- until Saint Francis visits the town and speaks to the wolf in his own language." 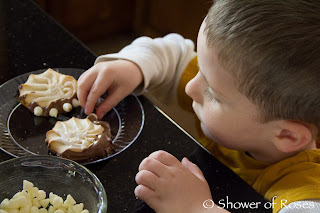 After we had finished reading all the books I sent the kids outside to burn off some energy while I prepared the supplies for decorating Wolf Paw Cookies!
. 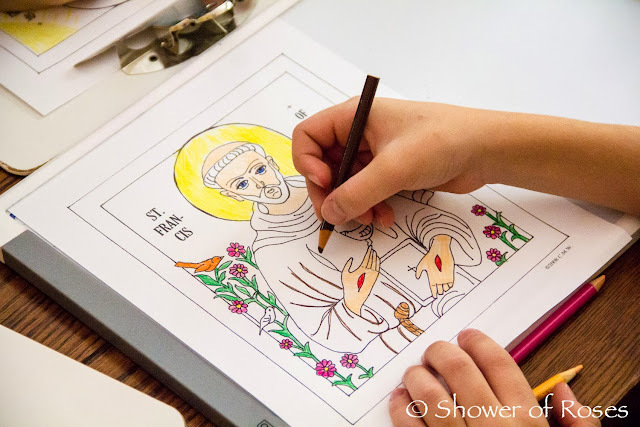 : ST. FRANCIS COLORING PAGE :. I had printed out various coloring pages, but Charlotte's St. Francis Coloring Page was unanimously voted the favorite and the only one chosen by the kids! Thank you Miss Charlotte! I served pizza for lunch, perfect for this Italian saint! 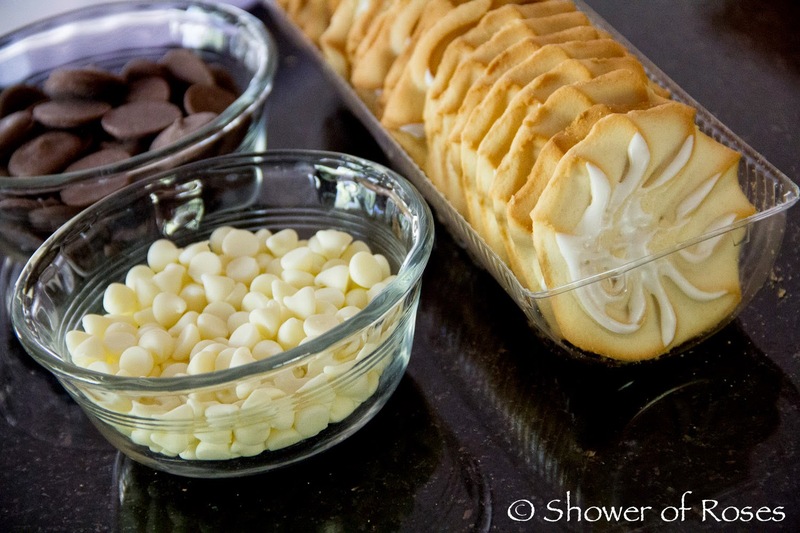 Use the "dump and stir method" of mixing the dough in a 5-quart Container with Lid, using a wooden spoon. Cover the container, not airtight and let it rest for about 2 hours on the counter. 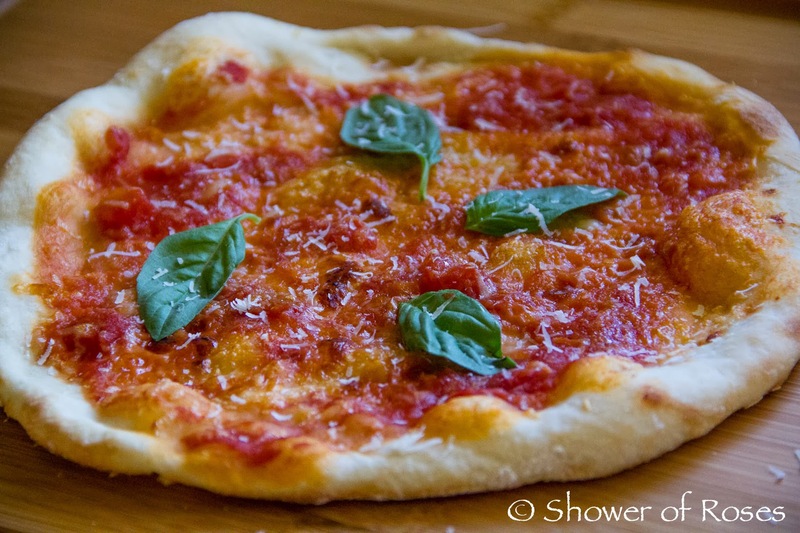 The dough can then be used right away, but it is much easier to handle once it has been thoroughly chilled. 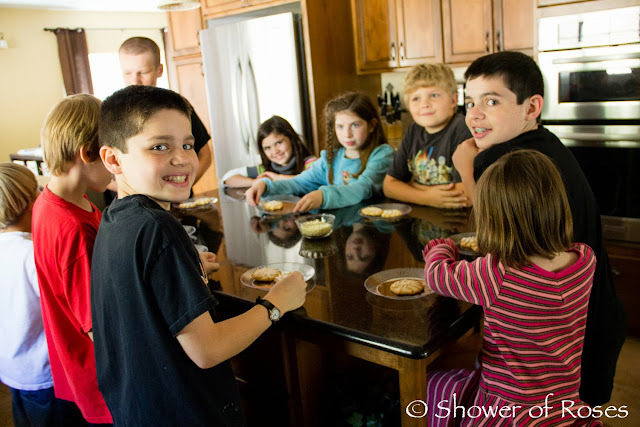 The dough can be stored in the refrigerator for 2 weeks! 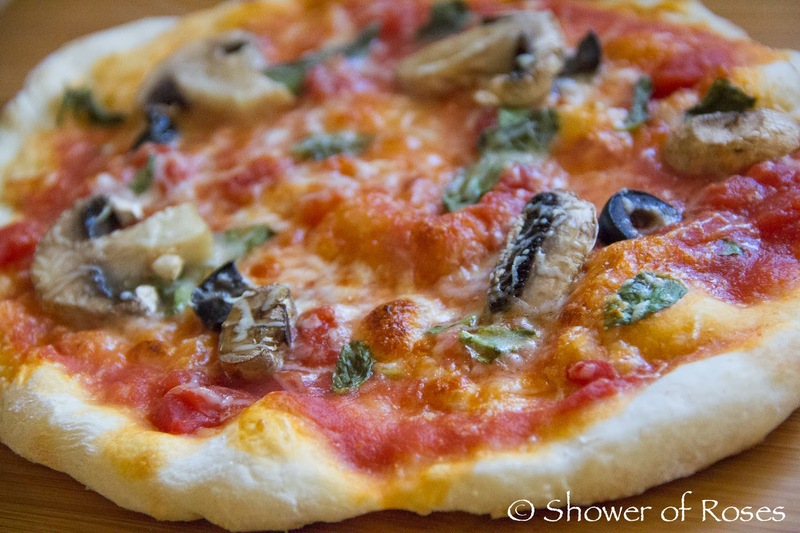 Today, since we eat meatless on Fridays, we topped the pizzas with Chunky Tomato Sauce and Olive Oil, and various other toppings including Fresh Basil, Mozzarella, Parmesan, Sliced Mushrooms, and Black Olives. Yum!! I transferred the pizzas from my counter to the hot stone in the oven using my amazing Super Peel and baked them at 500˚ for 5-6 minutes each. It has been so much fun hosting give-aways each day this week, and I have especially loved hearing from you all in the comment box! Thank you for all your kind comments, prayers and support. Today's giveaway has been sponsored by Krista, who would like to pass along one more duplicate book from her own collection in addition to the Catholic Mosaic: Can you find Followers of Jesus? 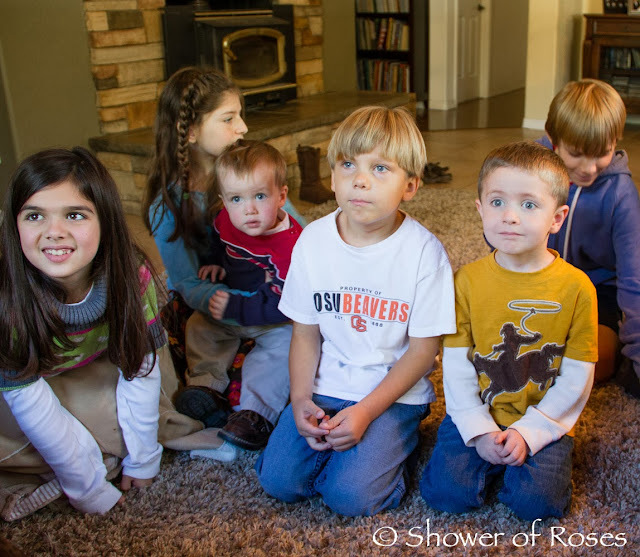 Introducing Your Child to Disciples. If you would like to be entered to this giveaway, just leave a comment on this post, and make sure your email address is either linked on your profile or included in the comment so that I am able to contact you if you win. 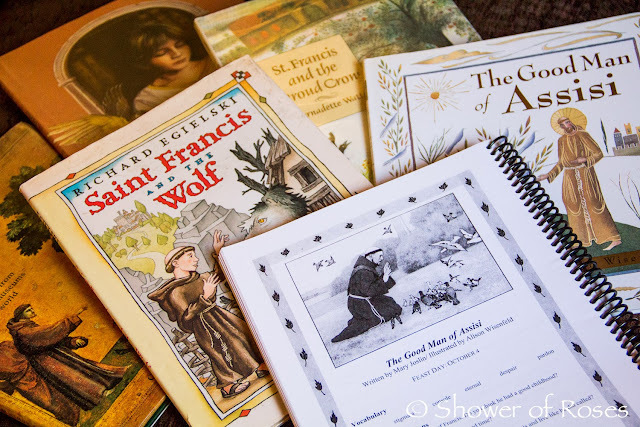 There is still time to enter the other giveaways for a copy of Catholic Mosaic, a copy of St. Therese the Little Flower Daily Journal, the two children's picture books, The Greatest of These is Love and Mama's Notebooks. The giveaways will all be open through Sunday, October 6th and I will update each post and contact the winners next Monday, October 7th. I so enjoy following your blog. Quick story: night before last our dog ran away, and we didn't know until yesterday morning. Guess who we begged intercession of? Within 2 hours a friend on Facebook posted a lost/found page on my status (lost dog!) and would you believe that our Emily was the most recent dog posted?? St. Francis isn't my patron saint for nuthin'! What a wonderful "barter"...I wish that we lived close, your Feast Day celebrations are AWESOME, and a great blessing to the children. This book looks wonderful. 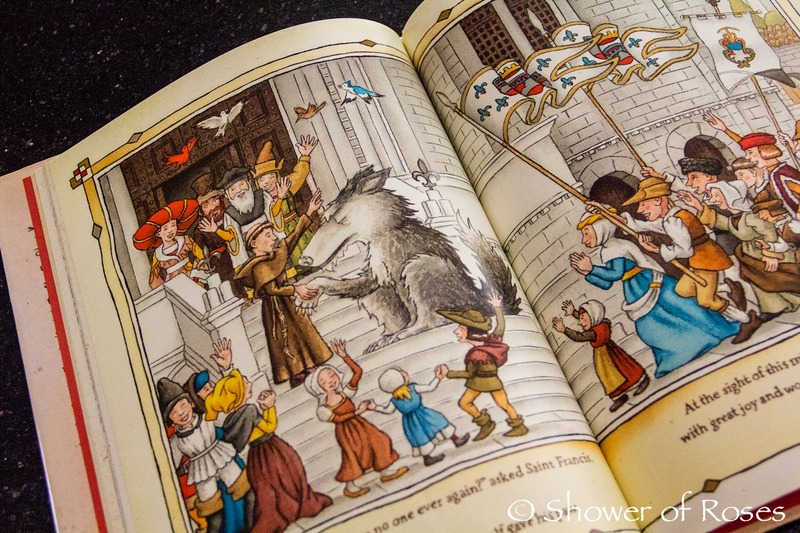 ( I have not given up hope that God will bless us with more children, somehow...so even though our youngest is 13, I STILL love getting picture books!) I would love to add this one to our collection! I'd love to win. Count me in. Looks like everyone had fun :) Please count me in! 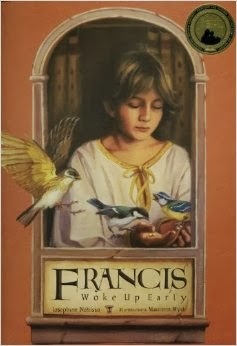 Happy Feast of St. Francis! Our parish was founded by French Canadian Franciscan missionaries just before WWII when they left south Japan due to persecution, and founded their monastery in our area. (the missionaries were subsequently interned there, along with some Protestant missionaries, during the war!). We are so blessed, in a land with such a shortage of priests, to have five wonderful priests (and two brothers, at the moment)! 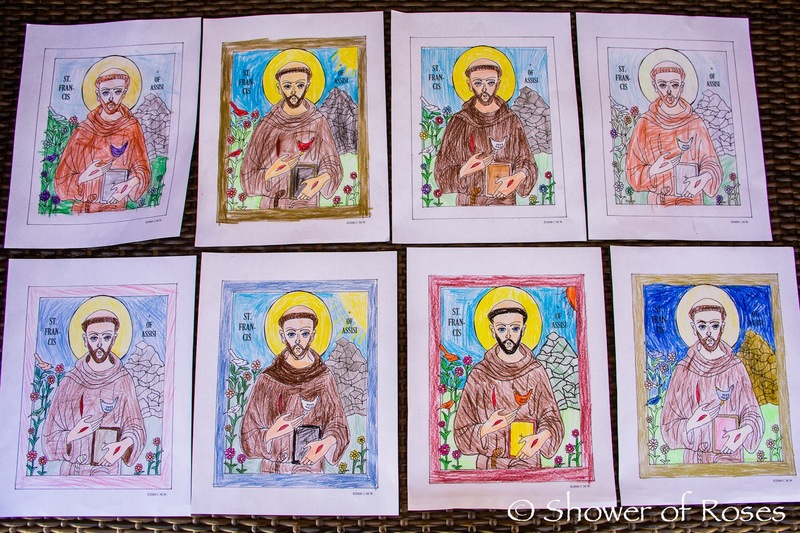 We love our Franciscans, and St. Francis!! I am new here and not Catholic. I am a Christian. I believe in unity between all the denominations. Thank you for your lovely blog. Also for the giveaway!! The pizzas look delicious! I'm going to have to try that recipe. The Francis and the Wolf book has great looking illustrations. I may need to add that to my wish list. Looks like a great book. Good Luck everyone. Found your blog last week and really enjoy it. I was fortunate enough to find the St. Francis and the Wolf book at our library book sale. 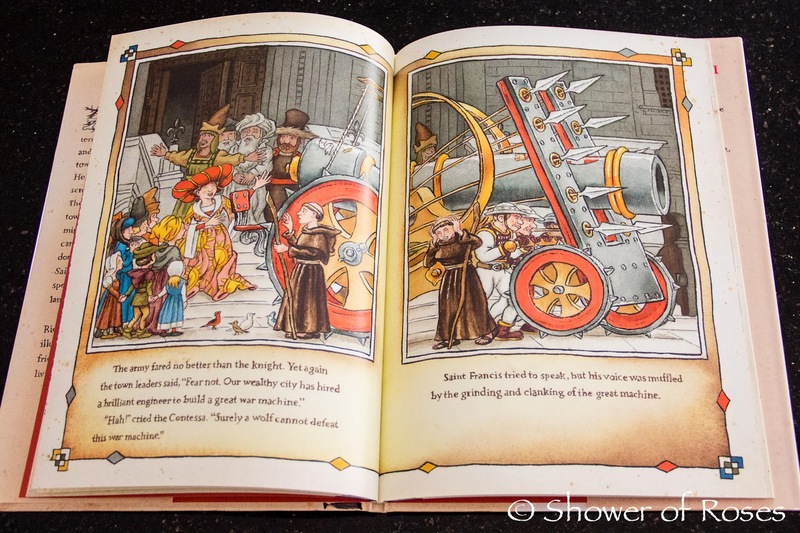 I purchased a wonderful book that my kids love for next to nothing. Thank you, God. Hello! 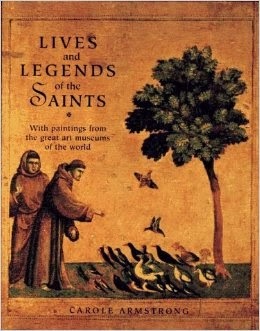 Please don't enter me in the giveaway, but I just wanted to share a story about Saint Francis. Once we were visiting another parish, and at the coffee and doughnut social after Mass, a dog somehow or another got into the basement of the Church. My dad went after him to try to take him back outside, and when he found him, he was sitting right beneath the statue of Saint Francis! He must have known!! What a fun celebration. I was able to attend the Friday children's mass at my son's school and was delighted to hear the priest work Saint Francis into the homily--it's nice when "Catholic culture" is really a culture! 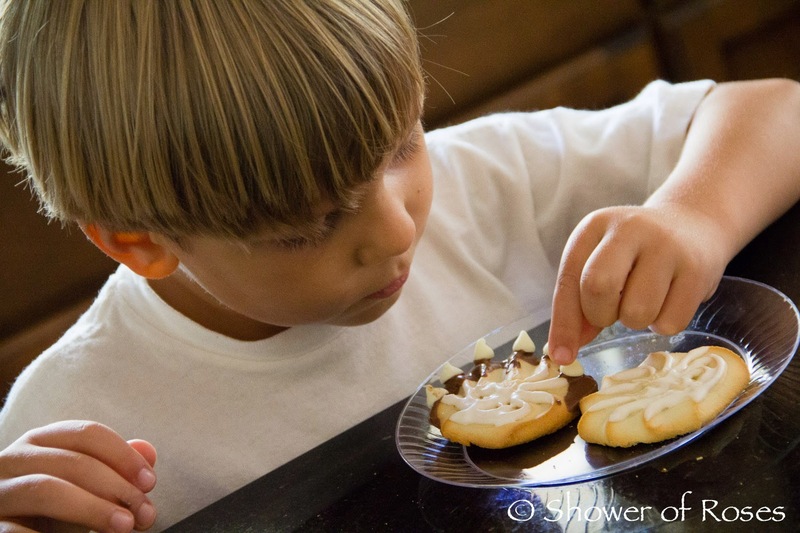 We made the paw cookies for dessert and read "Brother Francis and the Friendly Beasts" at bedtime. It was a great feast day. The book looks great. I'd love to win. Thanks! We have Can You Find the Saints and the kids love it! This would be a great addition to our home library. My email is kafournier AT charter DOT net. Thanks! Kim F.
We, also, have "Can You Find Saints?" ... and we also have "Can You Fid Jesus?" These books get pulled out frequently... and I bet an addition to the two would be loved by many!! :) Thanks for hosting great give-aways, Jessica!! Jessica, the Mom who lives near you is a lucky Mom. 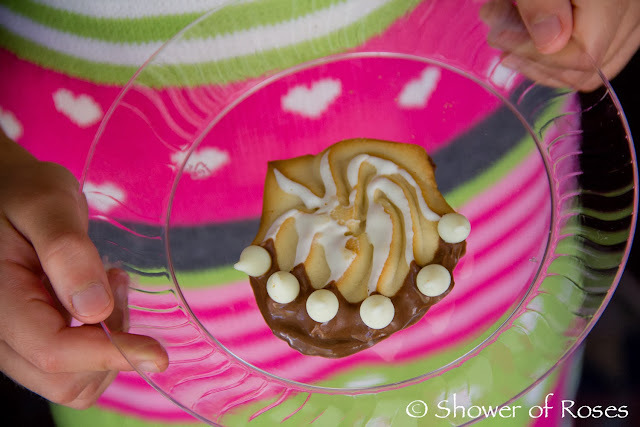 You have such great ideas and fun parties for the kids. I'm most in awe of the fact that despite what is currently going on with the furlough, you have pushed on for your kids and continue with the happy celebrations of the liturgical year - Bravo and God Bless You! What a great idea! I love win-wins! We own a couple books like this, but not this one. My kids love them! God bless your day! Looks like a fun celebration!! 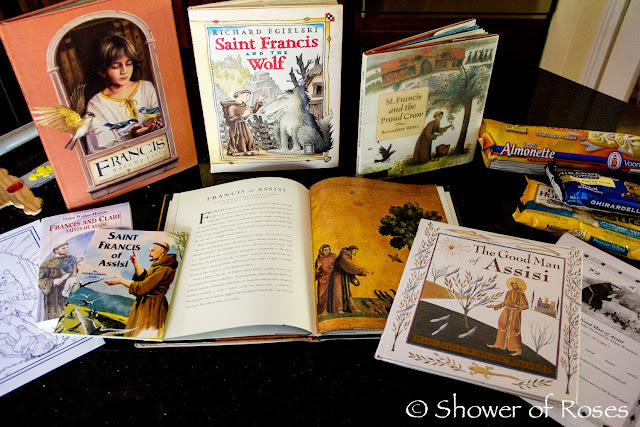 We also did a St. Francis celebration with our homeschool group yesterday. The giveaway book looks like fun - I have seen those but we don't own any! Please include me in this giveaway! Keeping your family in my prayers! Thanks for sharing your celebrations. Adding books to our wishlist. What a wonderful celebration! I'll have to remember those cookies for next year. :) I love that prayer & try to pray it daily. 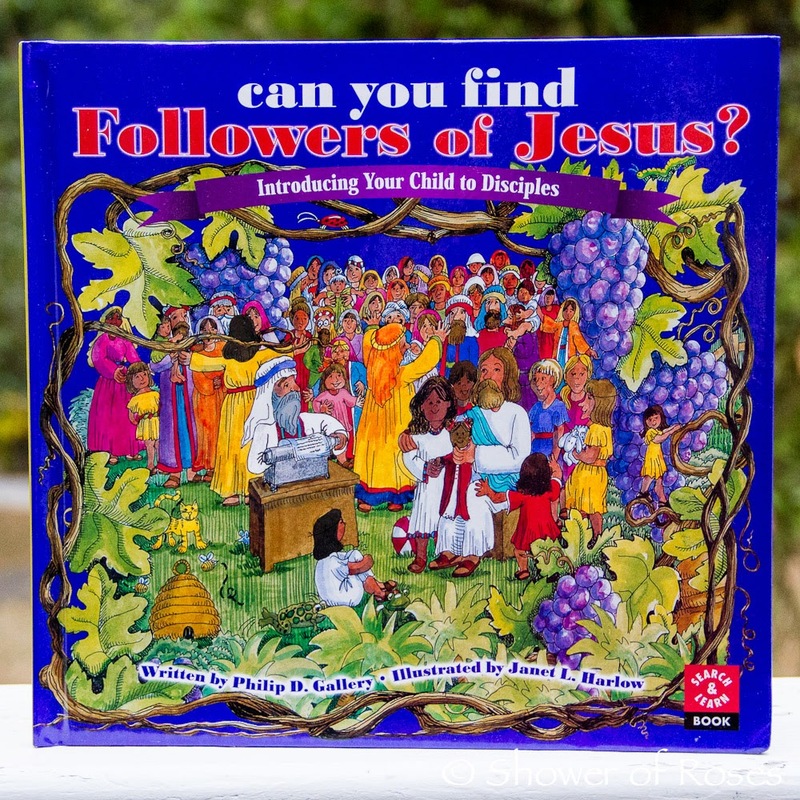 Please enter us for the Finding the Followers of Jesus book! thank you! 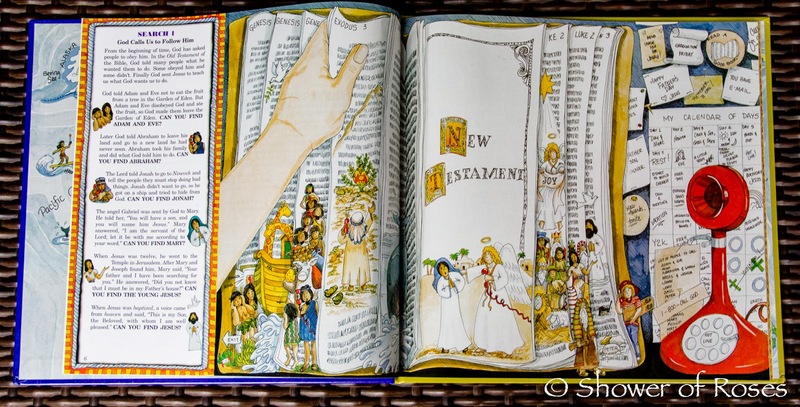 Thank you again for another giveaway and more wonderful ideas for celebrating the feast days! I just love reading your blog. 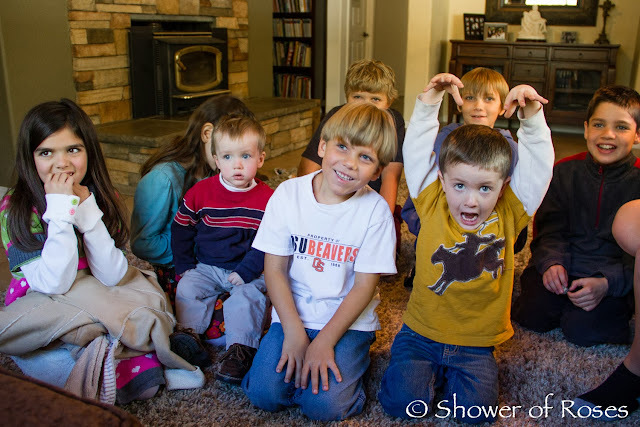 Your children are so precious and you have great activities and resources for your children. Isn't your oldest around 13? How beautiful that he still enjoys coloring with his siblings. I love that your blog shows that even older children and teens can still have an innocence and holiness about them that the world would scoff at. You are doing such a beautiful job with your children. You are certainly an inspiration to me! That innocence is something I've noticed that homeschoolers are often able to preserve longer. 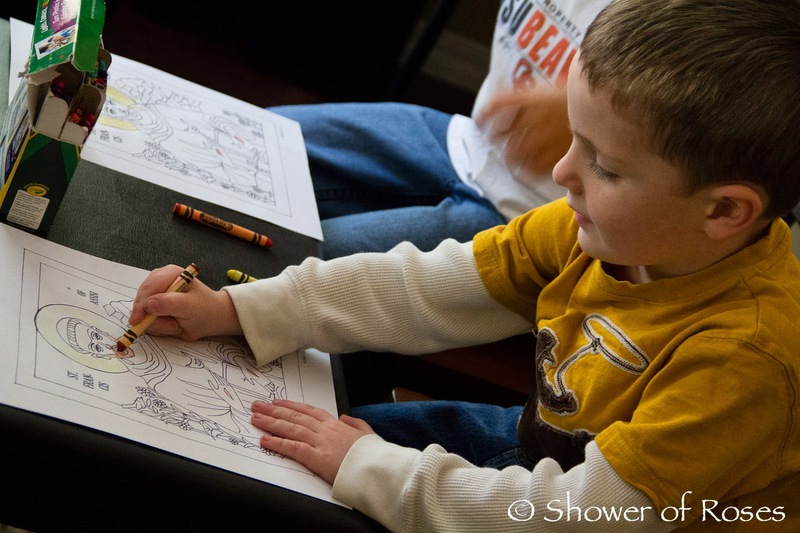 It's so sad that children and teens often feel pressured by their classmates to grow up too fast! Always love to see what you do for Feast Days - very inspiring! Thanks for sharing! Looks like a great book, another one I'm sure I'll have to pry out of my children's hands. Once again Thank you. This book looks very interesting. Thanks for another great giveaway! Thank you for running another great giveaway! Please count me in and thank you! Thank you! I would love the book. Oh, what fun! I hope I can use some of your ideas for NEXT year's feast day.